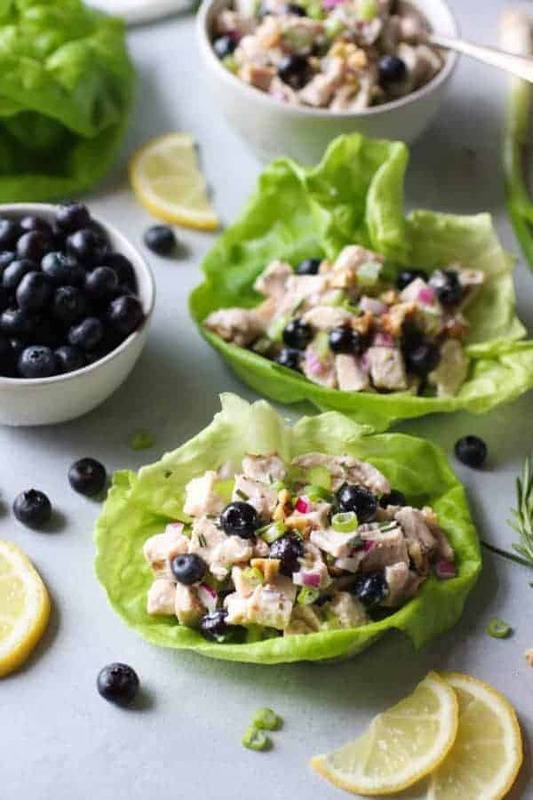 Blueberry Chicken Salad with Rosemary is easy enough for quick lunches, yet fancy enough for special occasions. 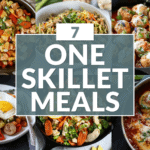 This post was created in partnership with our friends at Applegate®. 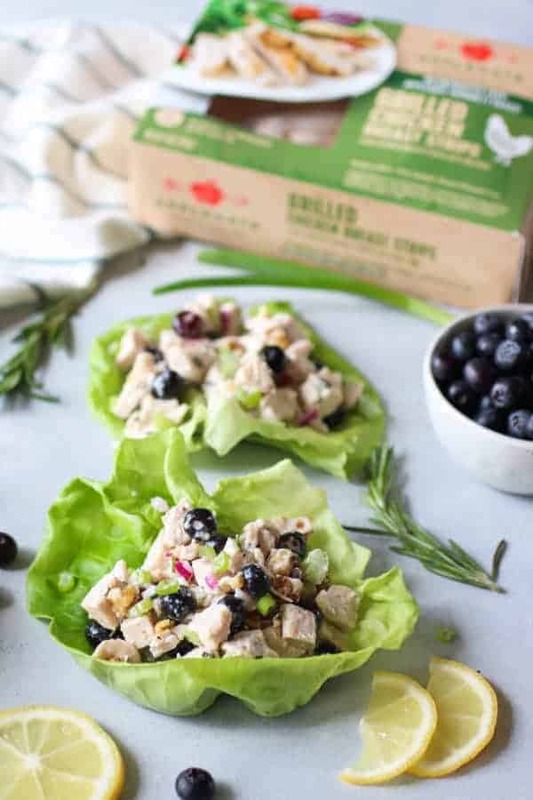 Tender chunks of Applegate Naturals® Grilled Chicken Breast Strips get all fancied up with the addition of fresh blueberries and pleasantly pungent rosemary in this Whole30-friendly Blueberry Chicken Salad with Rosemary. 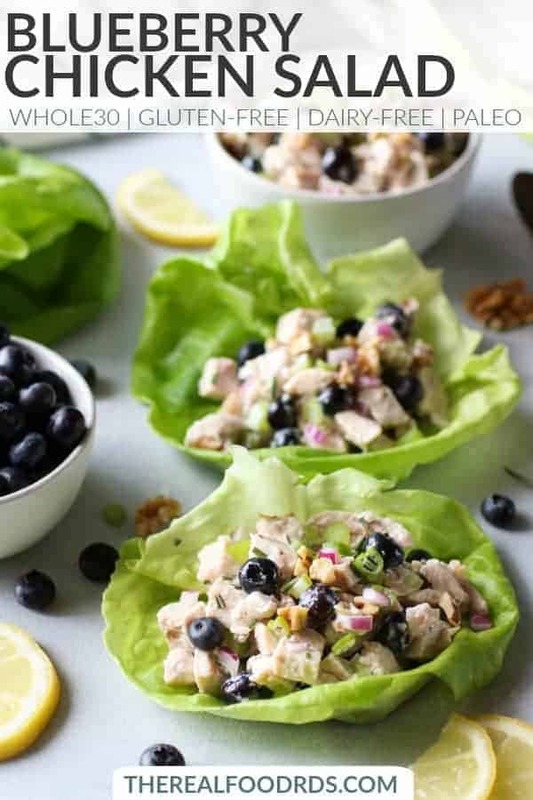 At first it may seem odd to add blueberries to chicken salad, but they’re actually the perfect way to add just a hint of sweetness, gorgeous color and cancer-fighting antioxidants. The same goes for rosemary, an often overlooked herb but one that has a distinct and pine-like flavor that pairs beautifully with sweet and savory alike. Top that off with some omega-3 rich walnuts and you’ve got yourself a superfood chicken salad! You’re going to love the burst of flavor you get with every bite! The video below will show you just how easy it is to make this recipe. 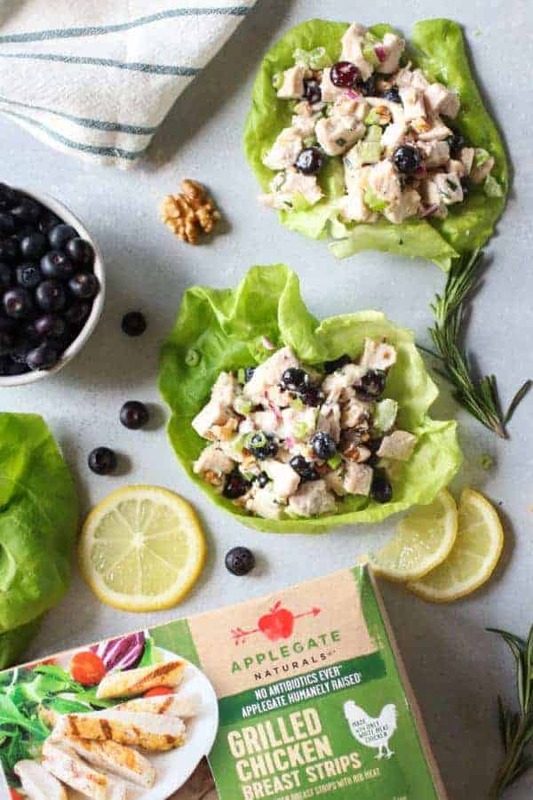 Thanks to Applegate Naturals® Grilled Chicken Breast Strips, Blueberry Chicken Salad with Rosemary can be made in a matter of minutes. We love the ease and convenience of Applegate Naturals® Grilled Chicken Breast Strips. We’re all about less time in the kitchen, so you can spend more time doing the things you love. These perfectly grilled-for-you chicken strips can be enjoy cold or warm. 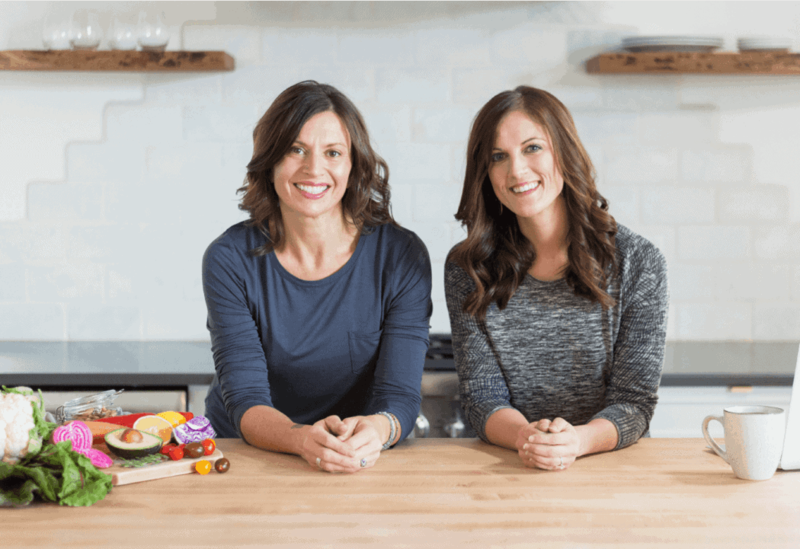 Both Jess and I reach for them often when we need a quick source of protein to add to a salad or when we’re cooking up one of our recipes that calls for cubed chicken. Not only are these Grilled Chicken Breast Strips “Real Food RD-approved,” they’re also included in Applegate’s collection of 17 Whole30-approved products. The ingredients include: Chicken Breast With Rib Meat, Water, Dried Vinegar, Sea Salt, Garlic Powder, Onion Powder, Black Pepper. Here you can learn more about Applegate’s Mission and dedication to making natural and organic processed meats that you can feel good about eating or serving to others. 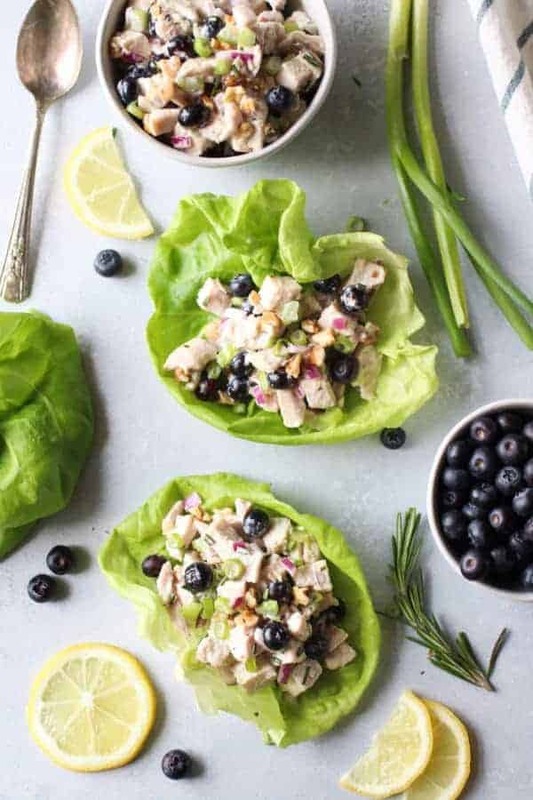 Try Blueberry Chicken Salad with Rosemary this week to change up your usual lunch or serve it at an upcoming bridal shower, baby shower or brunch with friends. 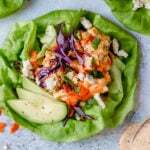 There are several ways you can enjoy this tasty chicken salad such as tucked into a crisp lettuce leaf, over a bed of greens or with your favorite crackers. 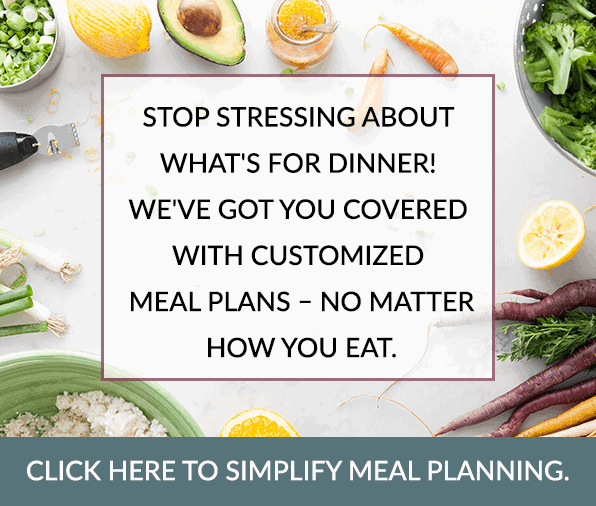 This recipe makes an appearance quite often with my weekend meal preps! 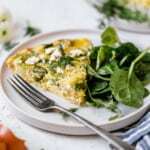 I can’t wait for you to give this recipe a try! Blueberry Chicken Salad with Rosemary is easy enough for weekday, lunches yet fancy enough for special occasions. 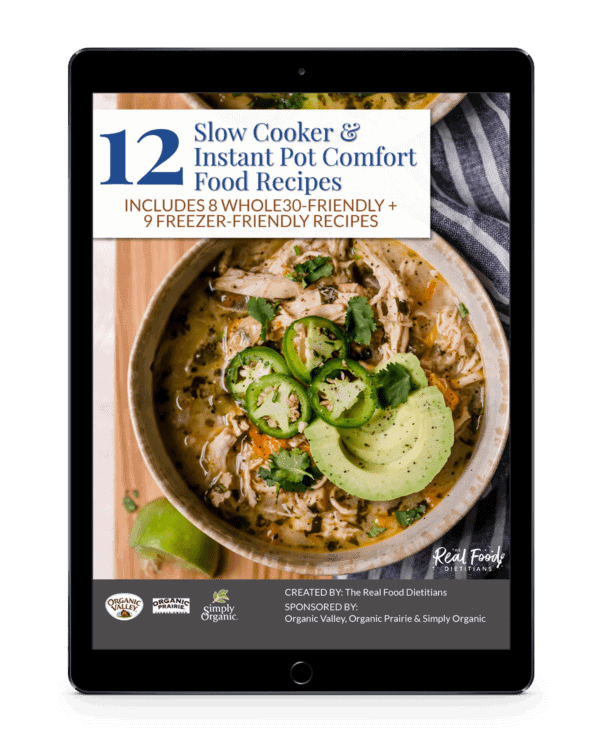 A Whole30-friendly recipe made with Applegate Naturals® Grilled Chicken Breast Strip. 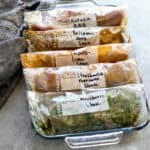 Remove chicken from packages. Roughly chop into cubes. To make salad: Combine cooked chicken and remaining ingredients in a bowl. Add mayo and gently stir to combine. Start with 1/3 cup of mayo and add more to your liking. Serve tucked into butter lettuce wraps, over a bed of mixed greens, with cucumber slices or your favorite crackers. Garnish with green onions. Serve with lemon wedges if you wish. 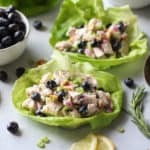 **Store Blueberry Chicken Salad with Rosemary in a glass, airtight container in the fridge for up to 4 days. Thanks, Rebecca! I agree – I just wish I’d found that combo years ago! Thanks, Ruth! 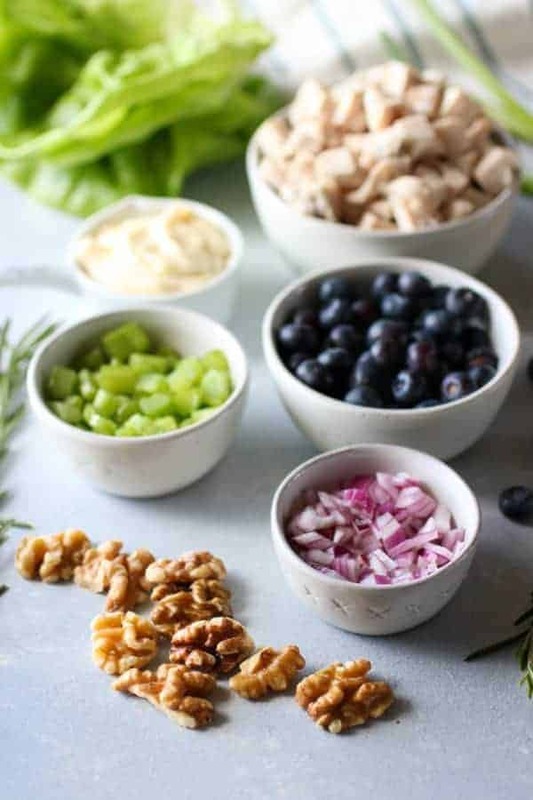 Yes, blueberries do seem like an unlikely addition to chicken salad but, like red grapes, they add a little sweetness to compliment the savory rosemary. I hope you’ll try it – I’d love to hear what you think! Drooling at this one! I love fruits in my chicken salad – but I’ve not yet tried blueberries. What a wonderful idea! This is on my menu for next week for sure! 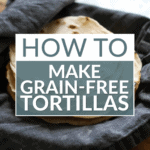 I agree – Jessica was the master creator of this recipe! I had the chance to try it first hand when I was visiting her in Colorado. So good! Second time making this – it’s a keeper! This time, I added some chopped baby spinach, just because. It’s great both ways. 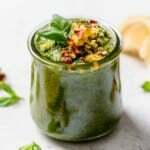 I love the addition of spinach for added flavor, fiber and nutrition. So glad you love this recipe – it’s one of my favorites, too! Thanks so much! I’m so thrilled to hear you loved this recipe. Loved this! Added a little dijon to cut the sweetness…amazing. Having enjoyed my beautiful wifes meals for 59 years I am now her full time carer. My meals have been 3 veges and either meat fish or chicken. The enjoyment Mary gets when I serve one of your delicious recipes is fantastic. You have brought so much pleasure to us both. This is perhaps the GREATEST compliment we’ve ever received from a reader – so touching and so kind. Thank you! We are so delighted to hear that you both have benefitted from our work here. Here’s to many more delicious meals shared between you and your lovely wife, Mary. 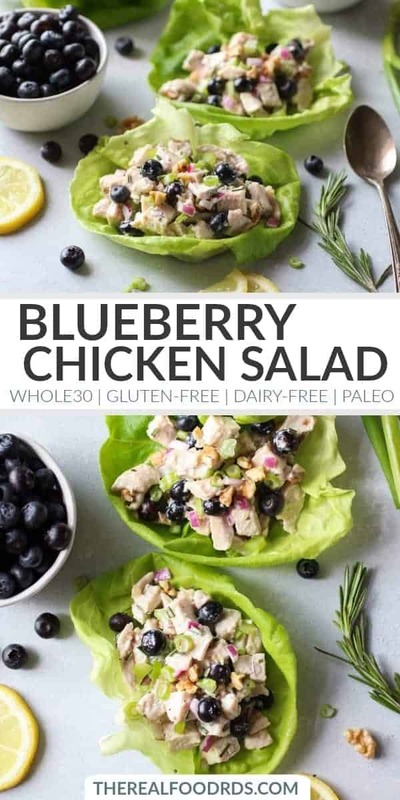 Very tasty blueberry chic salad, and so easy! Feels good to enjoy it! Thanks for such wonderful , nutritious and delicious recipes. I love your email updates! Thanks so much, Jan! I’m so glad you enjoyed the salad (it’s one of my favorites!) and our emails. Cheers! Do you think these flavors would go well with salmon instead of chicken?